The dreams of Mamelodi Sundowns president have been once again shattered yesterday following the team loss to SuperSport United. United are new Nedbank cup winners following their 2-0 win against Mamelodi Sundowns. Supersport goals were scored by defender Thabo September in the first half. 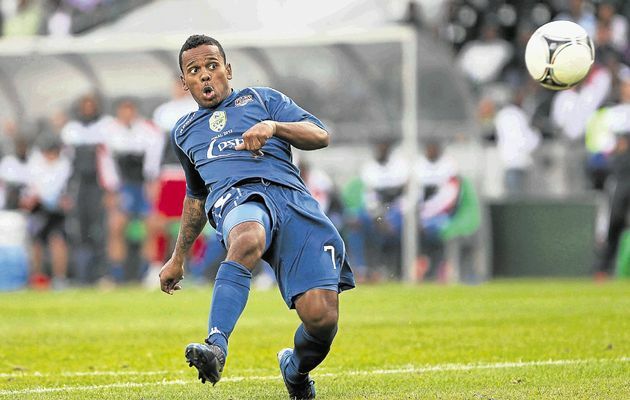 In the first minutes of the second half Downs showed the sense of agency however Kermit Erasmus buried the hopes of Chloorkop boys when he registered his name on the score sheet. Sundowns squad was reduces to ten man when Clinton Daniels was red carded for fouling Sameetgh Doutie from behind just outside the box. This made it difficult for the rich boys to attack and defend. Gavin Hunt was smiling all the way hugging his players just after the final whistle. Supersport united defeted Mamelodi Sundowns few weeks back in the PSL, in this game it was expected that Downs coach Johan Neskeens will work on the mistakes that led to their loss. However the Abafana ba-Style ship has submerged. United coach Gavin hunt has applauded his players for their commitment to the team and has finally won the cup competitions, as they have only manage to win the league three times without success in cup games. He said he is ready to build a new competitive team for next season should his contract be renewed as he will be meeting the team management on Monday regarding his future. It’s a fact something is wrong at Chloorkop Motsepe is issuing big cheques for all his staff but there are no results. As for Matsatsantsa a pitori, they have proved they were hungry and now they are full.